Via Von: 60th Birthday Surprises! 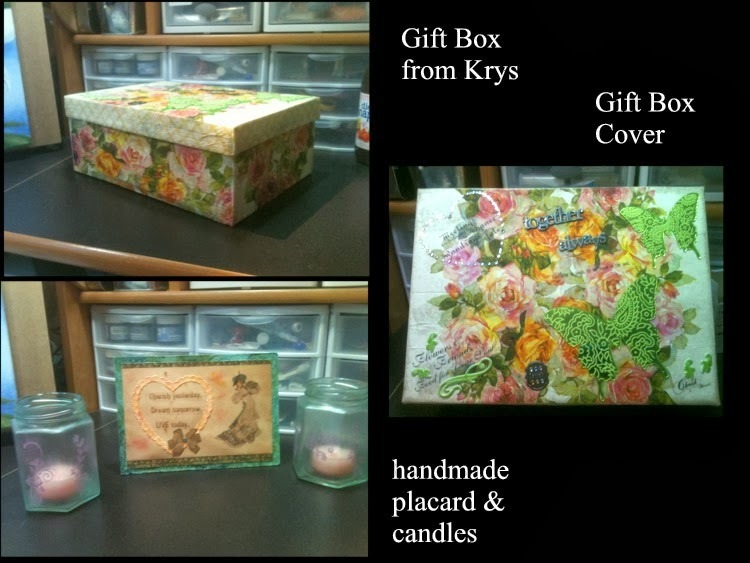 Krys has continually amazed and delighted me with her beautiful creations and for my birthday, she surprised me with the following box, filled with goodies! The box itself is beautiful decorated with rose tissue paper, green mirrored butterflies, hearts & bling, quotes and words of friendship. The little placard is evidence of our history today and shared love of Victoriana. The candles, hand frosted and tinted! I love my Friendship Journal!! Its absolutely beautifully filled with gorgeous images, embellishments and thoughts -- all again, reflecting our love of Victoriana, roses and friendship together. 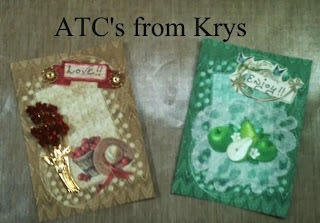 And finally, I was gifted two beautiful ATC's that she had made (and I had drooled over! lol) using her personal bits of no-longer worn or broken jewelry to adorn the rest of the designs which incorporate the ATC Backgrounds she offers digitally through her ETSY shop, Fey Arte of Faeries. What is even more amazing and heart-warming to me is that Krys' is on a horrendously limited budget for her creative supplies and finds the most fantastic values to make a tight craft budget go a long way! I'm SO proud of her for showing me (all of us!) that being awesomely creative doesn't require a big studio full of stuff! Your friend Krys made you an awesome gift that really shows how much she knows you and what you share together in your love of all things Victorian and frilly.. 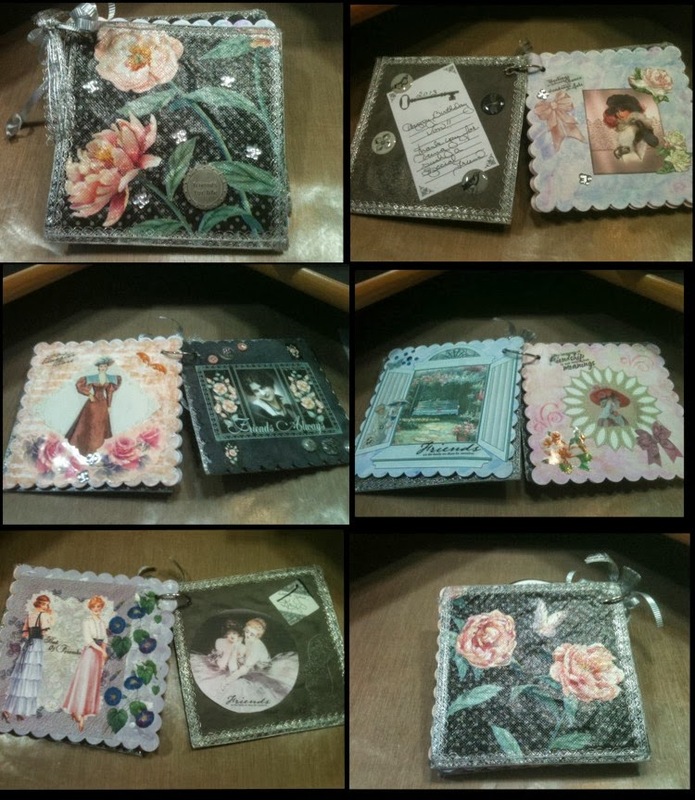 So pretty I know you will enjoy the beautiful treasures she has made you..
What a wonderful and beautiful gift! What a beautiful gift .Krys is wonderful person. And a very creative person Von you very luck to such a great friendship. Happy birthday, Lady Von! And, what a lovely gift from a very special friend. Krys is also very talented! Mwah!